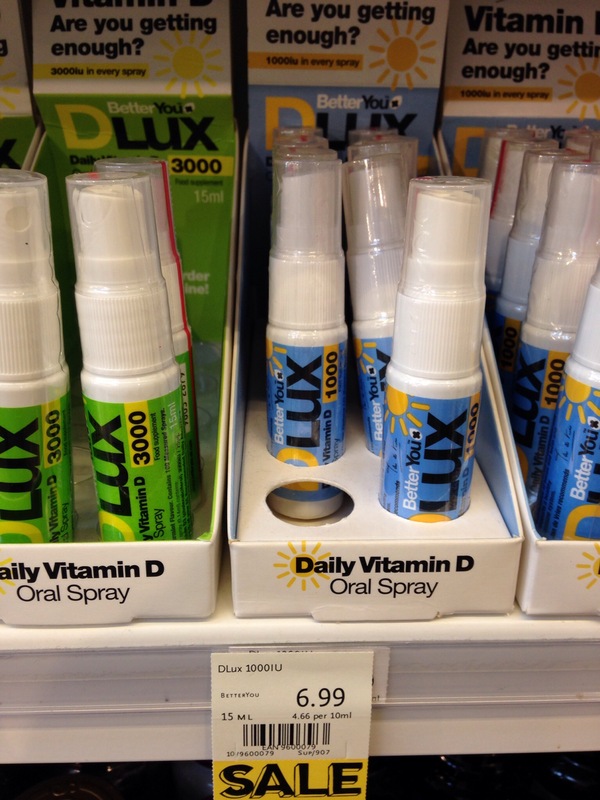 Another reason to supplement Vit D ? Menopausal mood swings are no joke – ask those living with a menopausal woman – and if you are also suffering symptoms of oestrogen dominance then it may seem like you are trapped by your moods. Hormone balance is important here, bioidentical natural progesterone is a natural mood enhancer that also helps sleep. When in combination with the right balance of natural oestrogen then that has shown to be effective for women with severe mood swings and depression. However, as well as getting your hormones balanced, there is one thing you can do right away and it is look at whether you have a lack of vitamin D as that also can affect mood swings. Over the last year it seemed as if you couldn’t open a newspaper without some new benefit of vitamin D being hailed – in fact it has been described as a wonder vitamin. We know we need it for strong bones and maintaining muscle mass, but it also is being studied for diabetes, heart disease, various cancers and immune response. Twenty minutes of sun exposure a day is recommended to get optimal minimum amounts of vitamin D but in northern climes like the UK we are unlikely to get the amount that we need, though this year seems to be the exception! Figures from the USA indicate that less than 10% of the population get the recommended daily amount and they are mostly outdoor workers who get the benefit of any sunshine that is going. At the The Endocrine Society’s 94th Annual Meeting in June, 2014 it was reported that a substantial new benefit of vitamin D has been discovered. Women with moderate to severe depression had substantial improvement in their symptoms of depression after they received treatment for their vitamin D deficiency according to a new benefit of vitamin D has been discovered. Women with moderate to severe depression had substantial improvement in their symptoms of depression after they received treatment for their vitamin D deficiency according to a new study. This came from a very small study of women aged 42-66 who had previously been diagnosed with clinical depression. The women did not change their antidepressant medications, or other environmental factors that relate to depression, and over 8-12 weeks were given oral vitamin D. This gave them normal levels after treatment and all the women reported significant improvement in their depression. Other studies have suggested that vitamin D has an effect on mood and depression and given the amount of research being done on other additional benefits of vitamin D, it may be worth considering. Other factors that affect mood are lack of sleep at menopause due to hot flashes and night sweats and increased stress levels. Tackling both of these can help as will eliminating or reducing stimulants such as caffeine, alcohol and tobacco as these can make a real difference to mood stability. Many women report improvements in both mood swings and sleep when helped with bioidentical natural progesterone, and if you are at risk of vitamin D deficiency it would make sense to consider supplementation to maximize the effect of the natural hormone. Vitamin D is not readily available from food but varieties of oily fish have the most followed by much smaller amounts in liver, all types of milk, yoghurt and cheese. Many brands of orange juice, yogurt, margarine, and breakfast cereals are often fortified with vitamin D but this is not a source to rely on if you are deficient. Nutritionist Patrck Holford recommends that those who live in the northern hemisphere, have decreased bone mass (osteoporosis) or a cancer risk, have a 25mg capsule a day or one drop of an oral vitamin D supplement. This entry was posted in Fat Loss, Healthy Eating, LifeStyle and tagged bone, health, hormones, Iodine, menopause, mood swings, nutrition, ormones, vitamin d. Bookmark the permalink. ← Strength Training or Cardio?